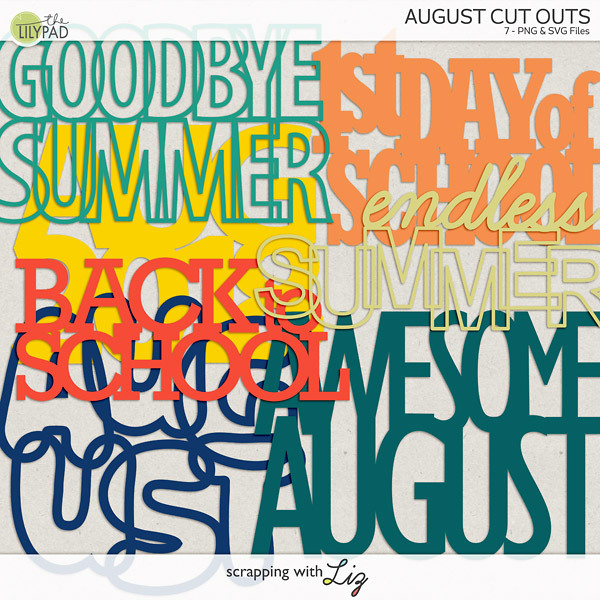 Scrapping with Liz: August BYOC is HERE! August BYOC is here! 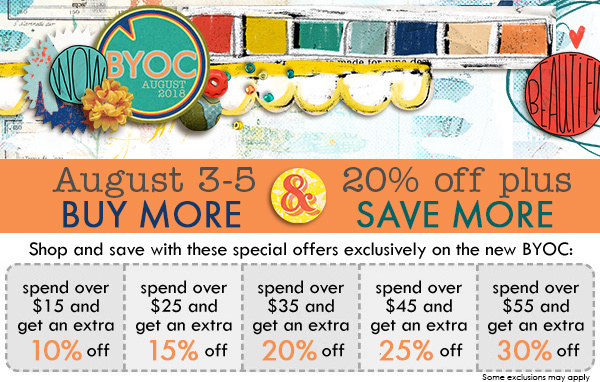 All BYOC products are 20% with a chance for more savings the more you spend. 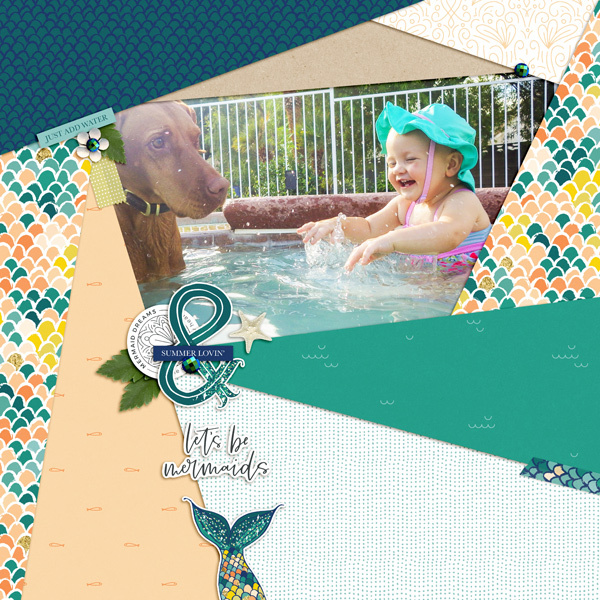 I have 2 new template sets that are super fun and a set of August Cut-Outs. 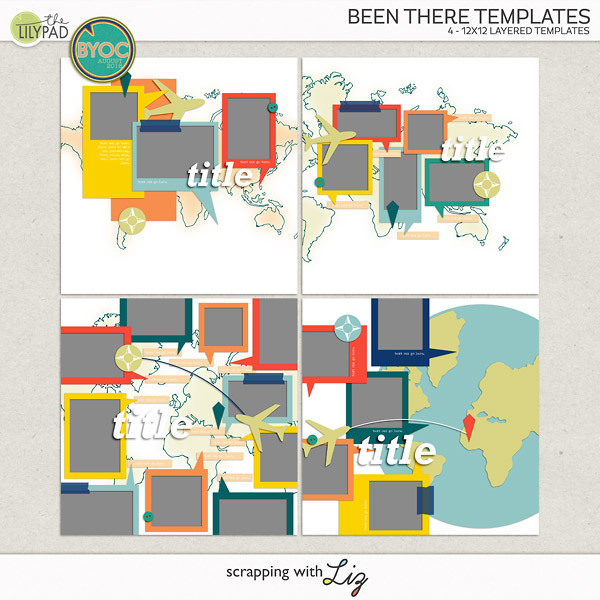 Been There Templates were designed with travel in mind. 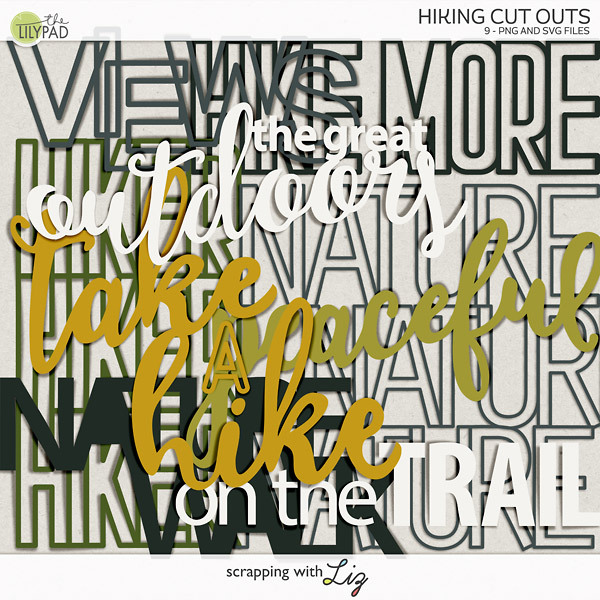 I know a lot of you have gone on some fun summer vacations and I thought you might like a fun way to scrap all of those photos. 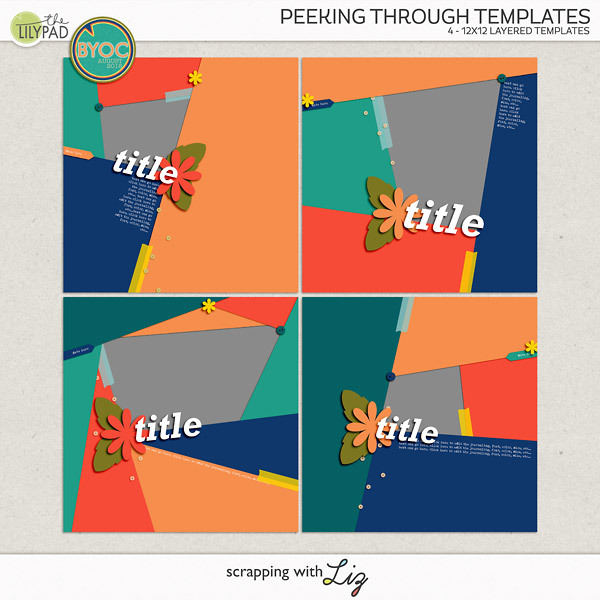 Peeking Through was a fun set I designed thinking about pretty papers and single photos. 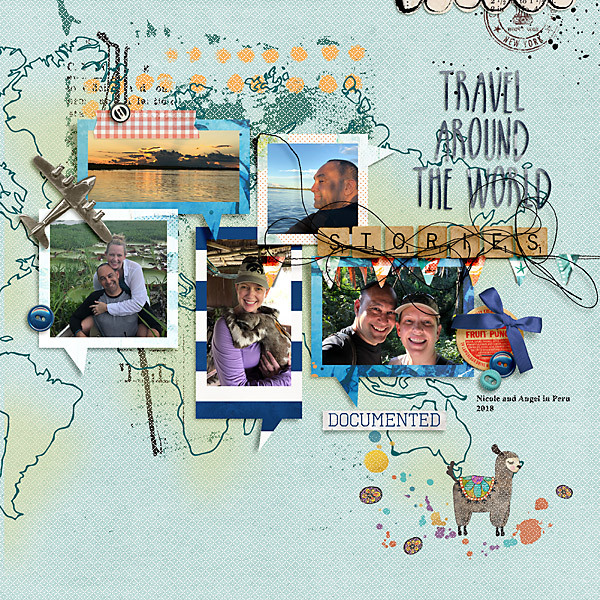 Of course, you could use them to make a background and layer more pictures on top as well. 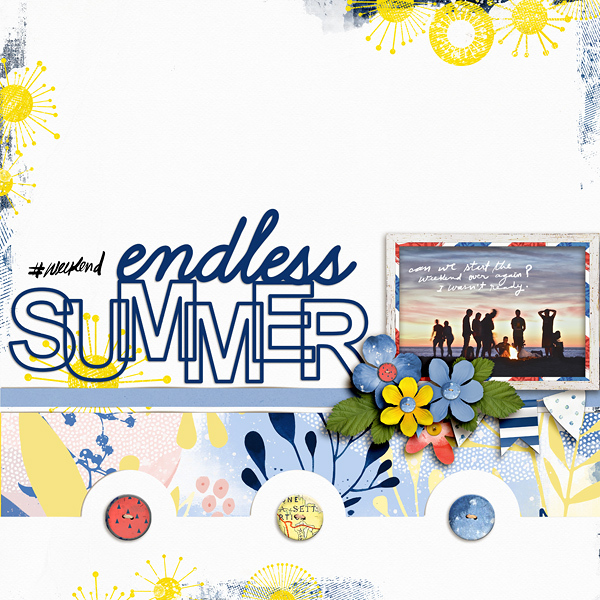 August Cut Outs are perfect for title work, dimensional layering, or just some monthly themed textual summer embellishment. 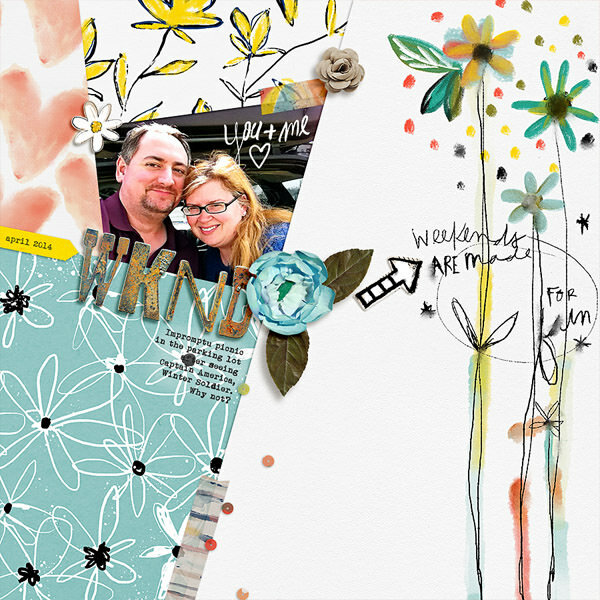 Our friend and resident designer at The Lilypad, Dawn Inskip, passed away on July 5th. Dawn was a much-beloved artist and dear friend who is already greatly missed. 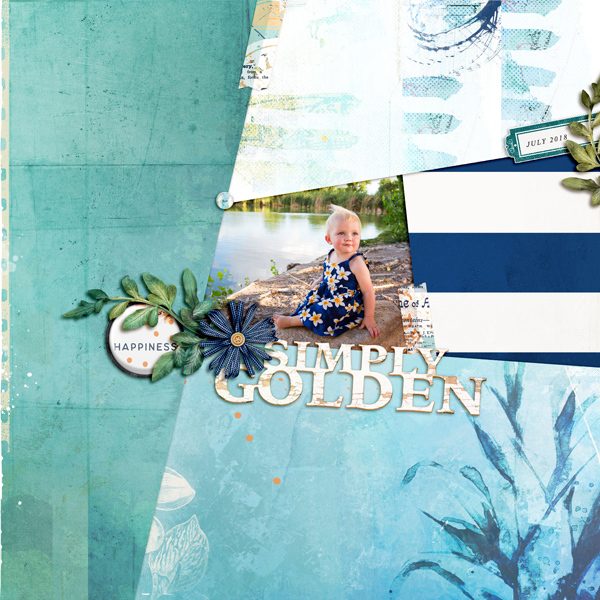 The Lilypad community and the wider digital scrapbooking industry have come together to create heartsong, a beautiful collab in her memory. 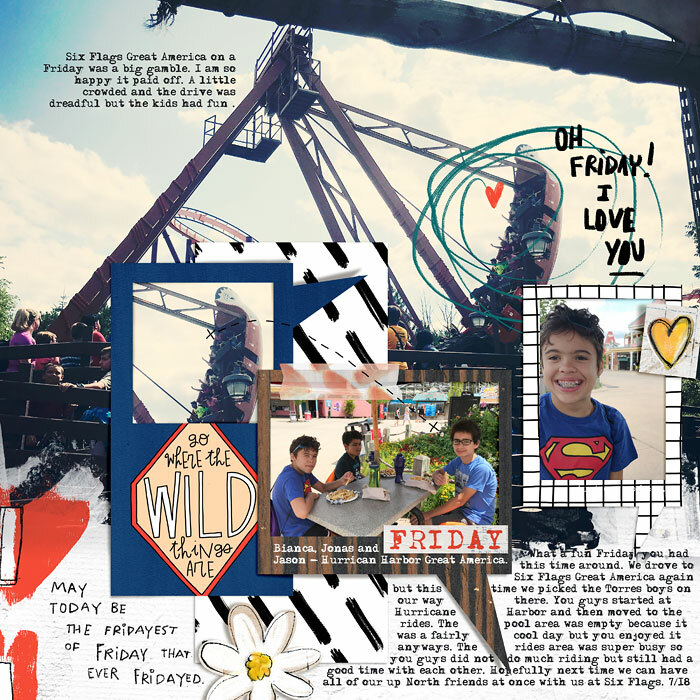 The kit is on sale for only $5.00 and 100% of the proceeds will go to a memorial bench in Dawn's name at a local nature sanctuary as well as to the British Heart Foundation. 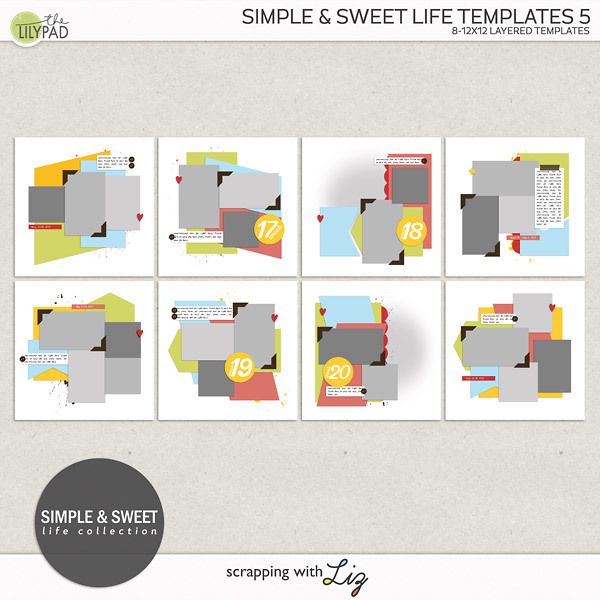 Tonight at 7 pm EST Tracy will host a Make it Snappy in the Designer Challenge Forum at the Lilypad. 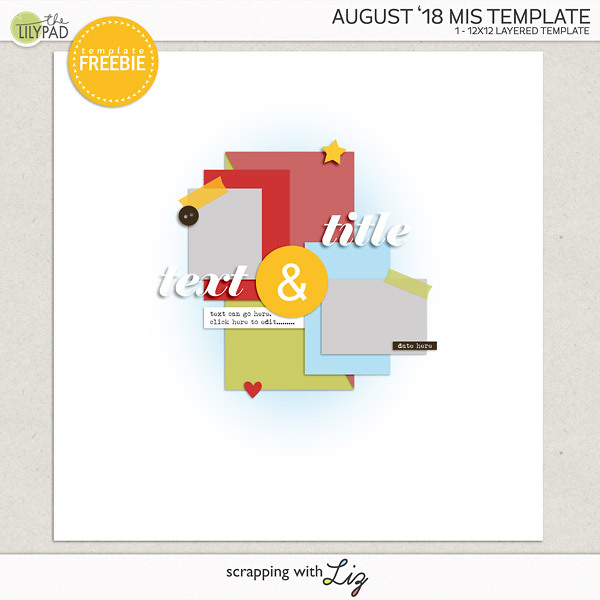 There will be a $10 prize to my store and everyone who participates will get this template for FREE. Love seeing my page there!!!! This was such a fun template to work with.